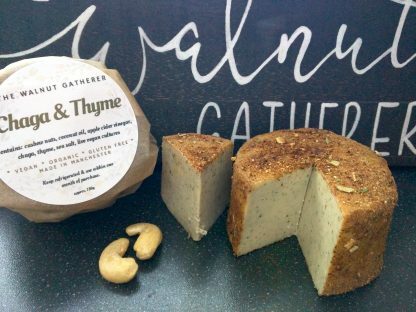 Hand made with organic cashews, organic coconut oil and vegan cultures, this Chaga mushroom & Thyme cheese is semi-soft, creamy, spreadable and utterly delicious. The chaga mushrooms* impart an exquisite nutty, earthy, mushroomy flavour, well balanced by the herbaceous thrill of dried flowers of thyme. 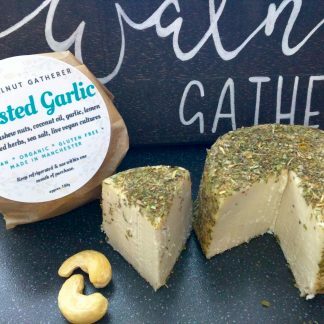 The cheese is rolled in organic dried mushroom powder. 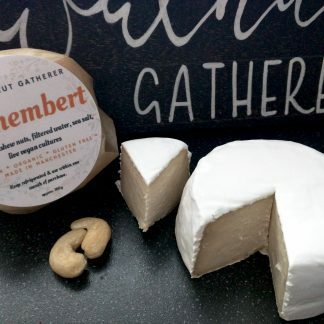 It is divine on warm crusty bread or crackers. * Chaga is a very special medicinal mushroom that is gaining popularity in the West for its health benefits and appealing taste. 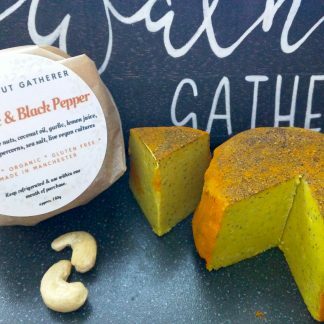 Ingredients: Organic cashew nuts, organic coconut oil, organic apple cider vinegar, organic dried chaga mushrooms, organic dried thyme, organic dried porcini mushrooms, live vegan cultures.